If you partake in happy hour you'll want to continue reading. It's always fun to try new and different twists for your nightly libations. 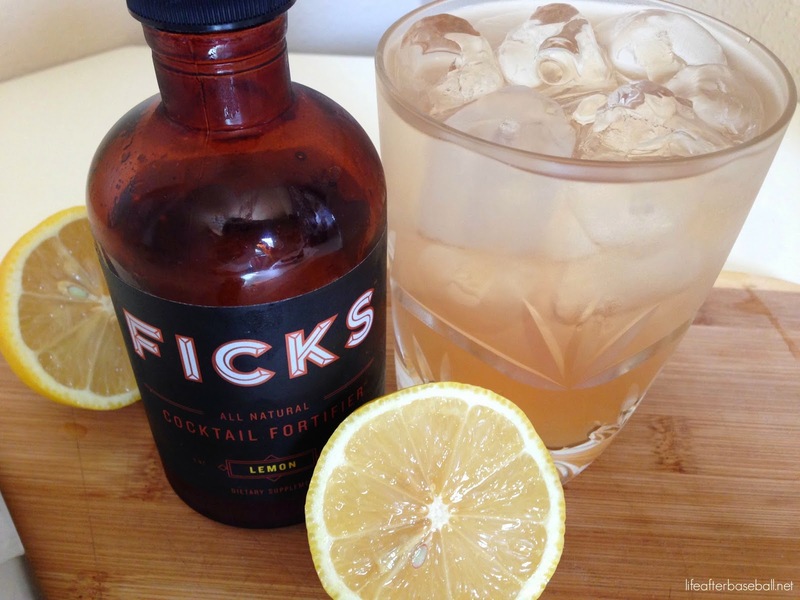 If you are looking for a little something to add to your bar menu I highly suggest Ficks Cocktail Fortifier. It comes in three flavors-Lemon, Lime & Ginger and as you can see from the above picture...we went with the lemon during our first go around. My husband's co-worker introduced this to him awhile ago and this just might be what you need to change up your favorite cocktail. It's "all natural" containing 6 functional ingredients consisting of vitamin b, milk thistle, electrolytes, amino acids, dandelion, and ginger root to help your body process alcohol a little easier. It claims to prevent hangovers, I can't vouch for that but I can tell you it is pretty tasty. 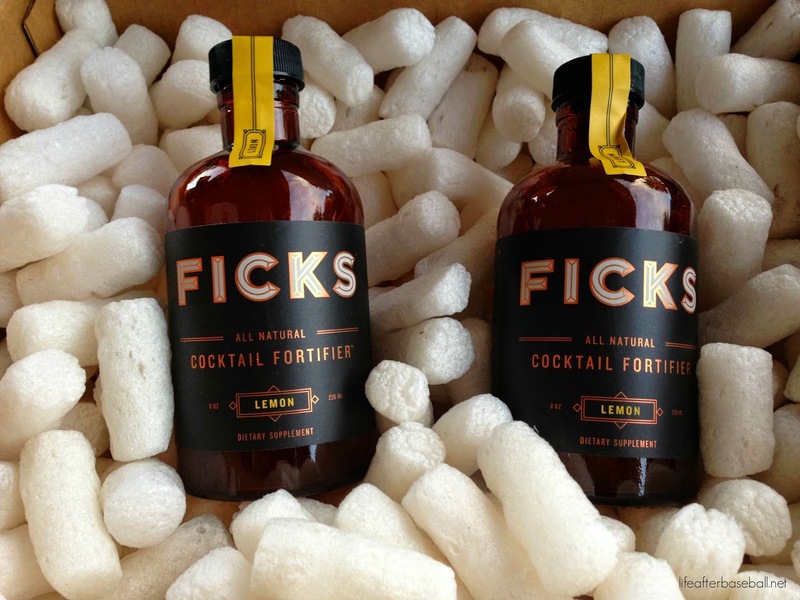 We added 1/2 oz of Ficks Lemon to our favorite cocktail of vodka, club soda and a splash of cranpomegranate juice. You can mix it with any cocktail and I think I'll grab a Ficks Lime next time to try in our 'rita's. Come to find out, after I googled it in order to share it with you...my all-time FAVE department store, Nordstrom, carries it! Woohoo, another great reason to try it because it's free shipping. Knuckles...Anyway Amazon, Urban Outfitters and even HomeGoods carries it and you can read more about it here. p.s. this isn't a sponsored post...it's really quite delish and just sharing what I love. This looks like a fun addition to any cocktail - I need to give this a try! I'm not a drinker, but that doesn't mean I don't whip up drinks for my girlfriends. I must give this a try :). Thanks for sharing this, Charity. My husband and I were in the mood for something different the other night, but had no idea what to make. Sounds like something we'd like too! Thanks for sharing! I've never seen this before! how?? Must try.